If the digital talk hasn’t scared you off yet, then this opportunity might be perfect for you. A brand-new highlight this summer, the Digital Skills Workshop isn’t about spending more time on social media. 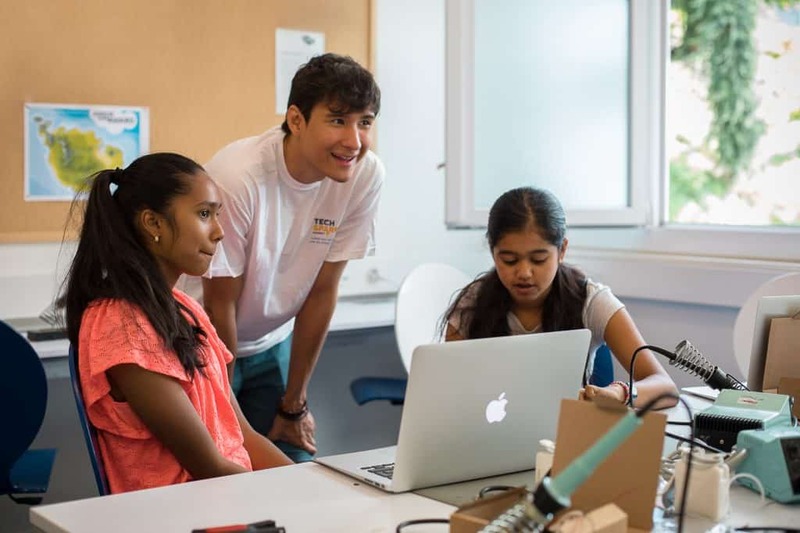 It’s a place for kids to build their own robot or design their own computer game. And it’s not just for tech geeks either. Guided by specially trained guest tutors from the renowned TechSpark Academy, we’ve created a course that’s a great introduction for absolute beginners and a great way for advanced programmers to add more skills. So, whether you think Python is just a big snake or you’re already familiar with the programming language, the Digital Skills Course is for you. No matter how much digital knowledge you have when you start, you’ll have a whole lot more by the time you’re finished. With a small class size, our Digital Skills Course offers plenty of individual teaching support and resources for quick and easy skills development. And with a 6-to-1 student to staff ratio, everyone will get the most from our TechSpark Academy guest tutors. Students will receive specific tasks based on their proficiency level, whether they’re absolute beginners or have more advanced skills. The Digital Skills Course will be conducted in English. Mostly because it’s the main programming language, but also because we have so many guests from around the world at the Lyceum Alpinum, that English really is the best way for us all to communicate. And, of course, this afternoon course is the perfect place for students to practice their morning English language lessons in a fun and collaborative setting. For any participants who may still need language assistance, we have French and German-speaking supervisors on hand to help. The course runs for nine sessions and each class is 3.5 hours of teaching, with plenty of fresh air breaks outside. At the end of the course, parents and friends are cordially invited to attend a final exhibition of all the work, which the students have created. Computer Games or Robot Design? Your Choice. Because kids generally like computer games and robots, we thought, what better way to teach programming than to let them pursue their passion? So, we’re offering one digital workshop with two fun areas of focus: robotics or computer game development. And the kids have the choice. At the end of the day, there’s no universal code for learning, but it has been shown that when kids are generally interested and enthusiastic about a subject, they have a tendency to learn more effectively. With that in mind, if a camper has another area of interest, our guest tutors will be happy to help them learn the technology they need to explore it. Today, robots can do all kinds of jobs: mow the lawn, vacuum the house, cook a meal, and even perform complicated surgical procedures. But fundamentally, they all follow the same command language. In this course, students will be learning how to tell a robot to do what they want it to do. 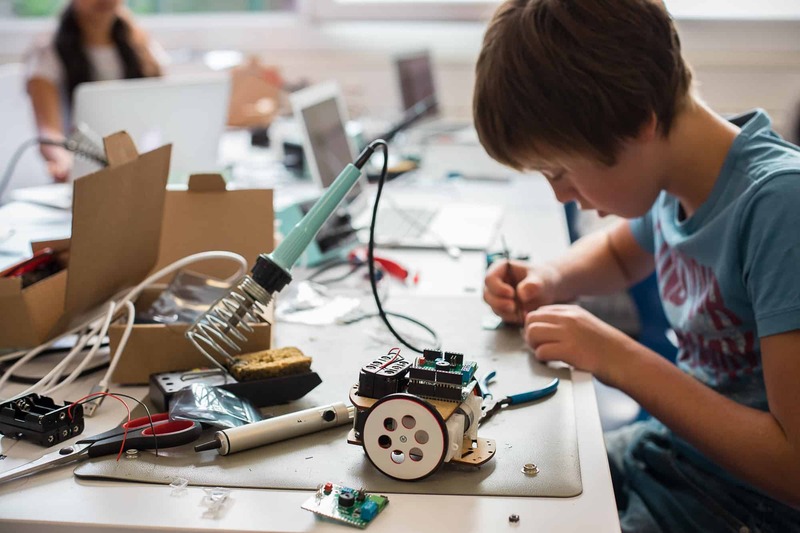 Using Arduino, which is a simple, yet powerful, open-source prototyping platform, they’ll design and build their own simple robots, which can move, respond to their environment, and accomplish tasks. True, students won’t be making their own AI companions quite yet, but they’ll be learning the hardware tools and software skills they might need to create one in the future. Arduino is an open-source, physical computing platform, which includes both software and hardware components. The hardware is a simple E/A board with a micro controller and analog and digital inputs and outputs. The software is easy to use, runs on Windows, Mac OS and Linux, and is a great way for even complete novices to get their first introduction to physical programming and coding development. Centipede, Pac-Man, Tetris – everybody knows these classic arcade games. The basic principles behind designing them are easier than you might think. With a little time, patience and guidance, kids will be amazed at how quickly they can code their first game programs. Starting with targeted tasks in smaller groups, our tutors help them build software skills, from creating pixel characters and graphic gaming environments to writing dialogues and coding animation. The sky’s the limit, based on each student’s knowledge and focus. Development of more complex game systems is possible, but even beginners will enjoy making their first game with the tools they learn. And who knows? It might become the next Tetris. 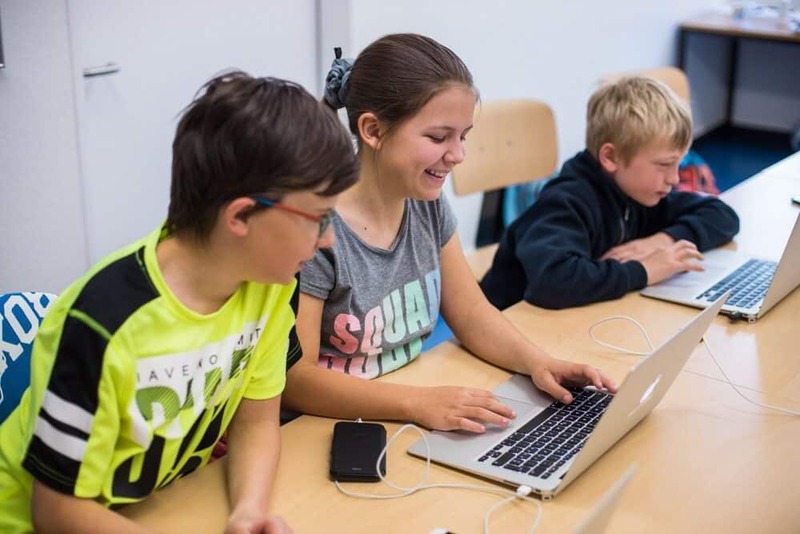 Kids will use a programming language called Python to create their games. The ideal introduction to programming languages, Python is named after the comedy troupe, Monty Python. The inventor was a fan, and he even hid references to famous skits in the software documentation. Because it looks like every day English, Python is much simpler to learn than other language systems, which have more complex syntax and symbols. One of Python’s design goals is to make the source code easily readable. While Python isn’t hard to learn, it’s still one of the most powerful and popular programming languages ​​in the world. According to the leading digital research group, IEEE, Python is the #1 programming language of choice for developers. In addition, Python is open-source, so it works well with other languages, runs on all platforms and is freely usable and distributable, even for commercial development jobs. If coding is the language of the future, Python is an ideal way to prepare for university. With the rising importance of computer literacy in our digitized society, Python is one of the most widely used programming languages in a variety of careers. Taught at the world’s top schools, Python is a basic component for degrees in computer science, technology, economics, science, and research. First-year students who’ve already learned Python enter their university studies with a distinct advantage. In business, Python is widely used in big data, data science and data analytics, and web developers use it to build e-commerce sites for their biggest clients. Scientific institutions use it for biological data analysis, including automated laboratory calculations, genome decoding, molecular bond rotation and simulating a flu epidemic, as just some of the use cases. And, according to the IEEE, the world’s largest professional organization for the advancement of technology, Python is No. 1 on their “2017 Top Programming Languages” list. On the first day we meet, the we start with talking about one of the most important topics: security. Digital safety is the foundation for all the work that we’ll do in this course and we attach great importance to it. Beyond bringing the group together and getting to know the other participants, we’ll also spend our first day setting up protocols for our entire nine weeks together. To ensure all participants can continue to work on their projects after the course is finished, it’s advisable to bring a laptop from home. You can bring an Apple, Microsoft or Linux machine, because we’re only using open-source programming languages that work with all software. Also, please don’t forget to send along a charging cable and suitable adapter for every session. The last day of our Digital Skills Workshop will be a final project exhibition. Part science fair, part celebration of hard work, this session will give each of the young people an opportunity to talk about their projects and share their creations with family and friends. We are particularly proud to be partnering with TechSpark Academy (TSA) to develop our summer Digital Skills Course. Renowned as the company for state-of-the-art coding camps and training, TSA knows the importance of preparing children for the digital future. This summer, guest tutors from TechSpark Academy will offer an innovative camp experience that gets kids ready for tomorrow. The future is coming to our Digital Skills Course. Are you coming? Will you join in? Click here for the registration form. If your child has previous experience with programming and/or robotics, please indicate it during registration and include a brief description of the experience. This will help us to create better balanced groups of campers and prepare relevant tasks and resources for all participants. Also, as we’re offering two distinct areas of focus for our Digital Skills Course, please indicate your preference for either Robotics or Computer Game Development when registering. So, rather than spending your summer holiday season playing the same old computer games on your mobile phone or watching R2D2 in Star Wars for the 27th time, come to our Digital Skills Course and learn to code your own game or build your own robot. Spend nine afternoons learning a new language and taking a step towards the future. Oh yes, girls can code. For every girl who wants to show the boys how it’s done, we welcome you to sign up and show your stuff. Don’t be shy. Our program is inclusive and fun.